A schema defines the format of the application data in WiredTiger. WiredTiger supports various types of schemas (See Schema, Columns, Column Groups, Indices and Projections for more information), operated upon through a WT_SESSION reference. 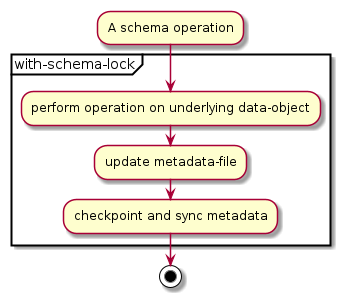 This section details the internals of these various schema operations.